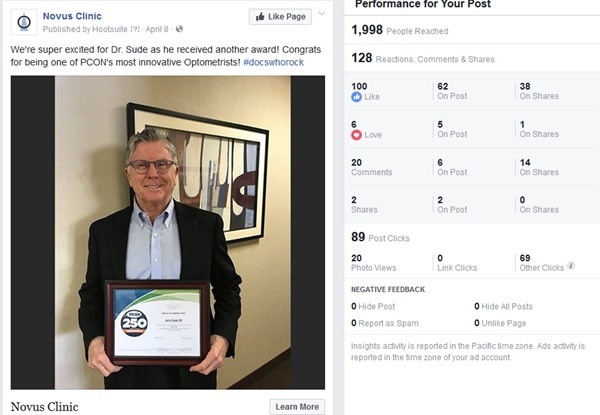 As the vice-president of operations for Novus Clinic, a three-location, 10-doctor (six ODs, four MDs/DOs) eyecare practice in Northeast Ohio, one of the most important marketing initiatives I do is outreach to our community through social media. 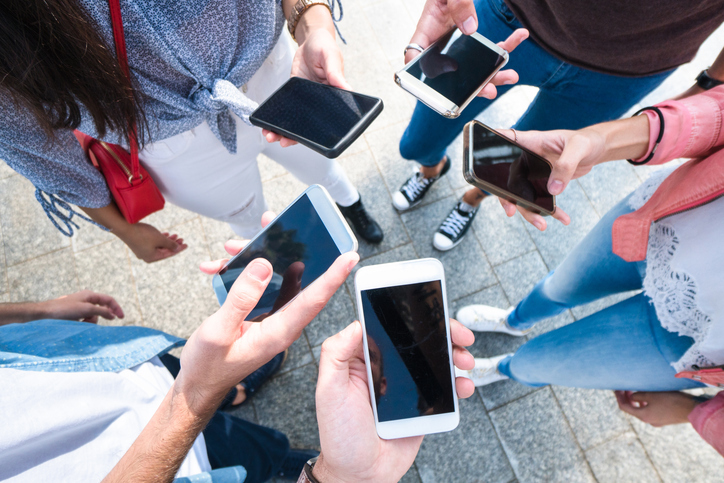 There is no question that many patients use social media, but a question remains of how to measure the response to marketing posted on sites like Facebook and Instagram. 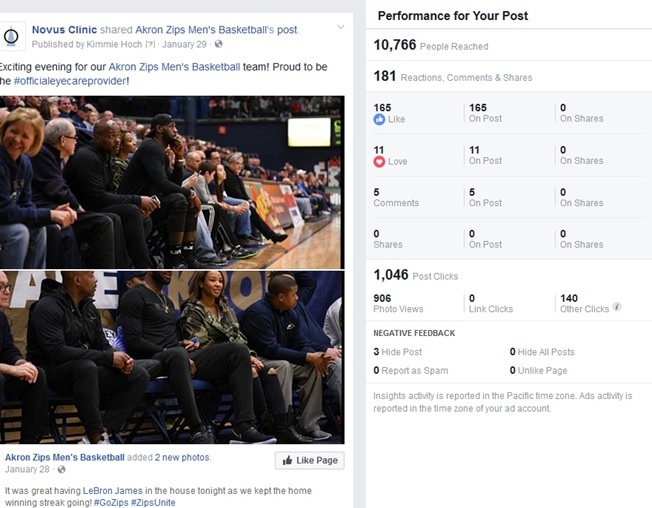 I use Facebook Pixel, a Facebook-specific analytics tool, as well as a tool called Snip.ly, to track activity from our social media posts to our web site for appointment conversion. Snip.ly is used when I want to showcase an article on the web, while keeping our practice information front and center. The Snip.ly pop-up will occur in the bottom left of the page the patient browsed to learn more on the topic that interested them from a social media post. It has our logo and a “click here” button to make an appointment. Once a person completes the web site form to make an appointment, the Snip.ly tool used on that specific post counts it as a conversion resulting from the social media post. 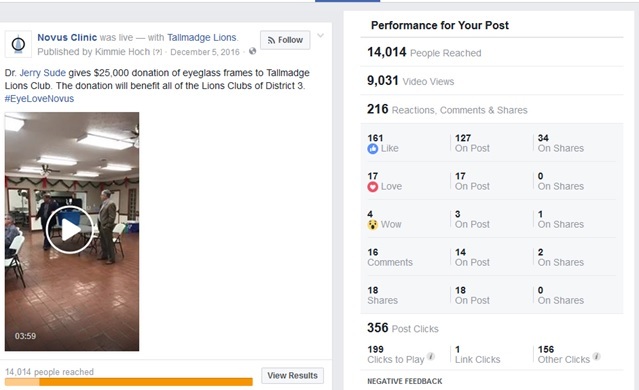 We have been able to measure that one effective social media post can generate up to 153 exams. Our average revenue per patient is $325, so in dollar and cents those 153 additional exams means: $153 x $325 = $49,725 in revenues. But keep in mind, that these appointments that were made by clicking on a link in a social media post were not all new patients. Many were existing patients who saw the post and were reminded that they were due for an appointment. 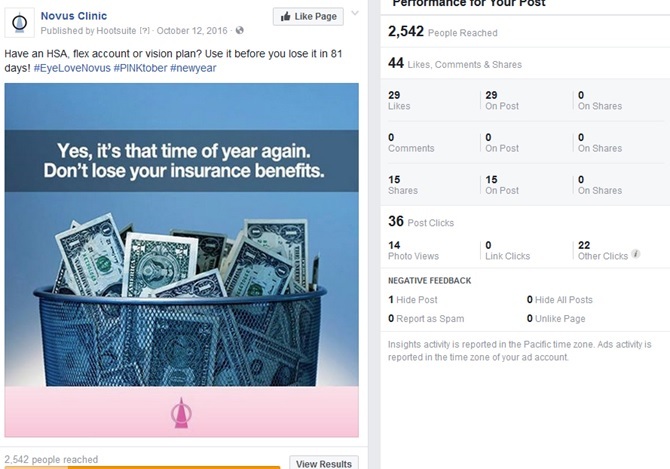 The money required to generate those 153 appointments: $1,000 over three months spent on sponsored posts on Facebook. That 153 was on the high end of what our conversion rate is for the average social media post. 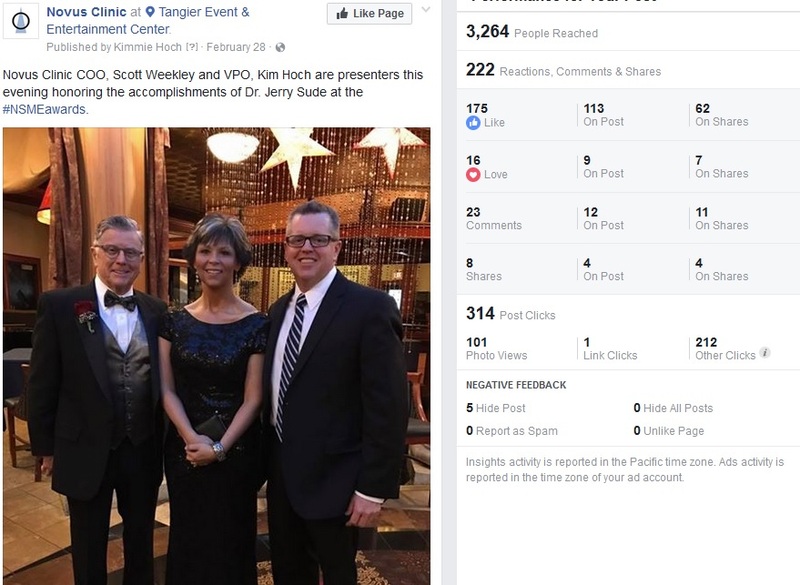 On average, we see five new appointments made per post, with $1,625 in revenue generated, after spending $10-$15 per post per day for seven days. Not all social media activity will yield an immediate ROI. However, social media is the best vehicle to display the personality of your practice, planting a seed for when the need for your services is there. In many cases, it’s how patients will determine if they want to do business with you now or in the future. It’s like giving them a sneak peek of who they will interact with, and what products they can expect, before they ever step foot inside. I’ve had patients tell me they came to our practice because they saw on Facebook that we support various causes, or because they saw their friends liked our posts, and our office looked like fun to them. Patients want to feel they can trust you, and they gain that trust by feeling like they “know” you as a doctor or practice. The more you can focus on helping patients get to know you, the more successful you will be on social media. All social media sites have algorithms that determine high value for posts, which are given the greatest visibility. However, that changes all the time. 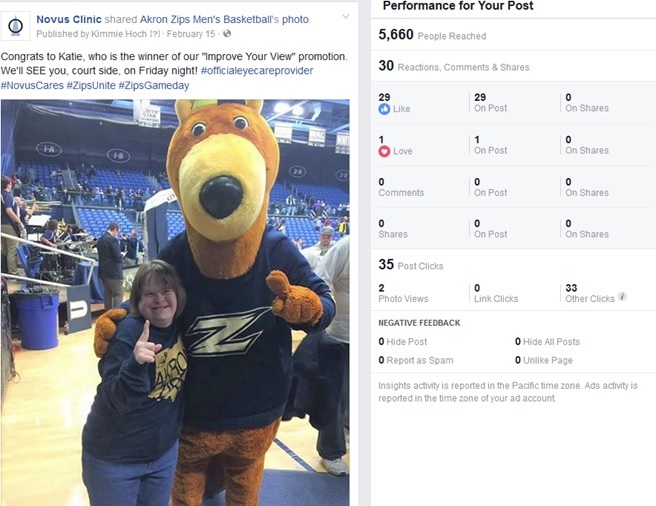 Facebook, for example, will only show your posts in the news feed of a person who has shown interest in a particular picture, product, cause, service, place, etc. Interest level is proven to Facebook by liking, sharing, tagging or commenting on a post. However, the business strategy of Facebook only shows your post to 6 percent of your total followers – even when interest level is there. I’ve grown our followers to over 3,700, and that means without boosting, only 222 of them would normally be seeing our posts, and only if the proven interest is there. A good rule of thumb is consistent fan engagement, period. To achieve that you should be posting a great variety of content at least daily for the most organic reach. Outside of that, it is now recommended that each post have a minimum boost of $1-$5. This will help to reach a portion of that other 94 percent of your followers that Facebook leaves out in organic reach. Consistency in staying in front of the audience with variety of content that gets them to engage is the key. Topics that explore health implications, such as what doctors can tell about the human body from an eye exam, seem to work best. 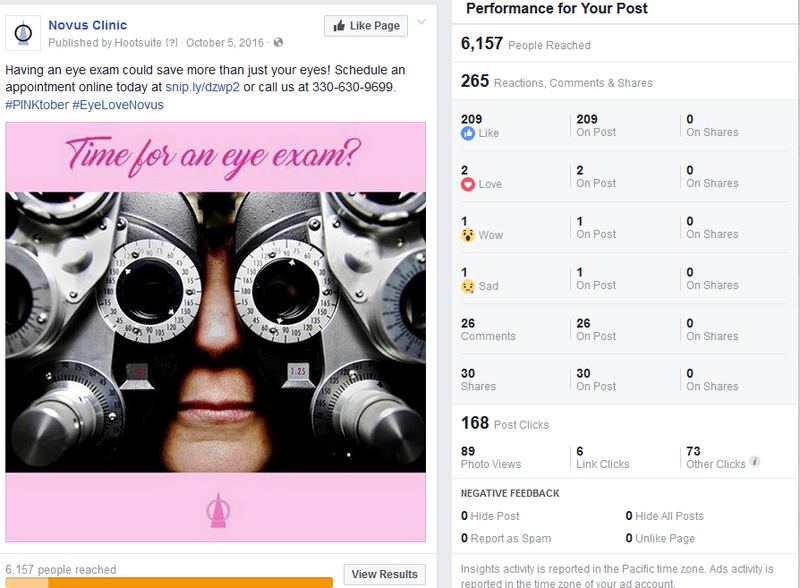 To get the most response, and increase the chance of the post resulting in patients making appointments, budget boosting the post by $10-15 per day. 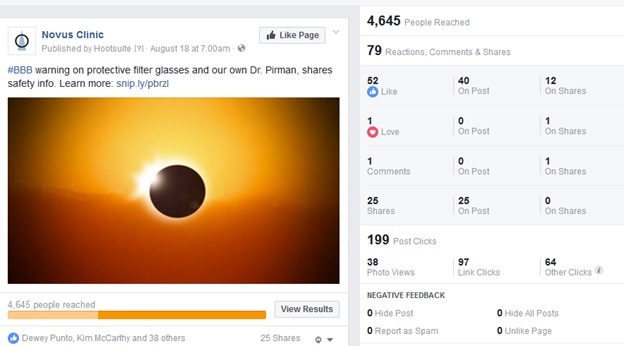 Here are 10 social media posts that my practice found effective. 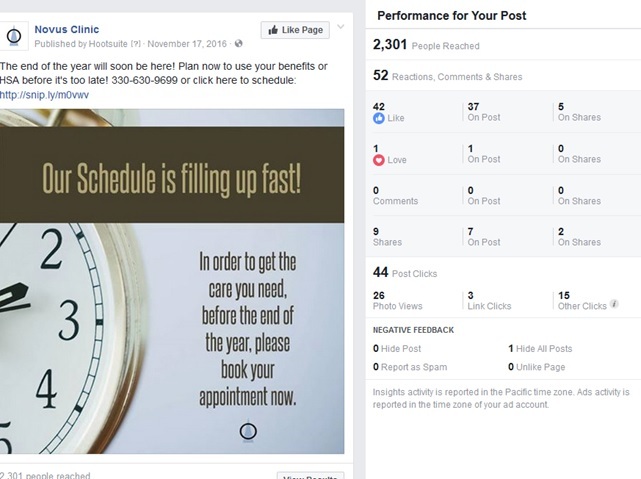 Included in the following photos of the posts are the dashboard images from Facebook, showing the response generated, and directly under each photo, you’ll see how many appointments each post generated.